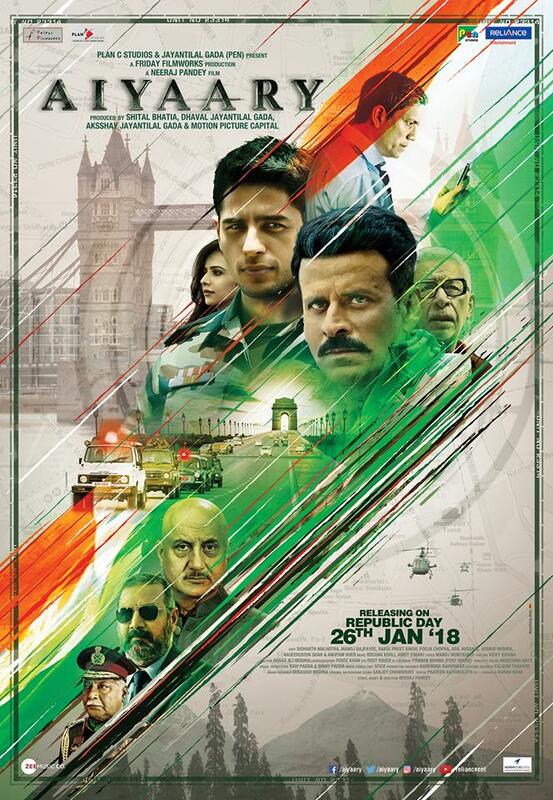 Neeraj Pandey’s directorial Aiyaary, with the amazing cast of Sidharth Malhotra, Manoj Bajpayee, Pooja Chopra, Rakulpreet, Anupam Kher and Naseeruddin Shah will release on January 26th. Aiyaary has intriguing storyline of two Indian Army officers, a mentor & his protégé. Check out the first look poster! We hear that the trailer will be out on December 19th, so watch this space!